The only way out is through the blood. When Rebecca Paige decides to vacation alone at an isolated resort in the woods, it's a welcome break from her position as the administrator of a psychiatric hospital. Little does she know, the poet is also visiting this peaceful hideaway, and his motivation is far more sinister in nature. On the last day of her trip, Rebecca has an unusual encounter with Jack Shelley, the man in the cabin next door. After he leaves, men with guns suddenly descend on the resort and take Rebecca and the other guests hostage. Rebecca is accustomed to dangerous situations at work, but can that help her escape multiple-armed assailants? Who are these men? What do they want? How are they connected to the man next door? Slightly twisted with a literary flair, The Poet is the first installment in the new and captivating The Poet Series that will have readers thinking about the dark and wondering if love, redemption, and forgiveness really do apply to everyone. 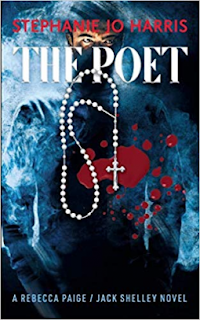 Jack Shelley and Rebecca Paige return for the second book of The Poet Series by Stephanie Jo Harris. 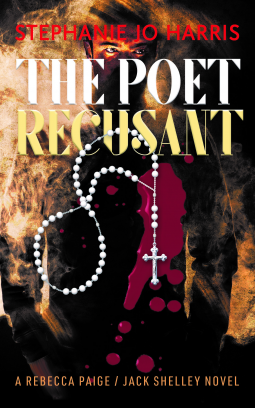 Vicious and unnerving, The Poet Recusant will leave you gasping...and begging for the next book. Except it wasn't the police. It couldn't be. The police would have waited for him. Whoever had Rebecca wanted her away from Jack, for leverage, for punishment, or both.